Enabling, in a negative sense, refers to actions which are intended to help a person with dysfunctional behavior, but in fact only serve to perpetuate the problem. For example, one attempts to “help” an alcoholic by buying them liquor, making excuses for them, or helping them hide their addiction. The Church of Scientology is on a very self-destructive path, as is becoming more and more evident. Its addiction to power and money has perverted the Church to the point where it is unrecognizable to old timers. Instead of being encouraged to get up the Bridge, help others, or get involved in community activities, Scientologists are pressured to give more and more money to things like the IAS, the Superpower Building, and “Ideal” Orgs. These days, it’s all about money and buildings. Add to this the increasing reports of staff abuse and mistreatment, policy and tech alterations and violations, and outright lies, and you have a seriously dysfunctional organization that has nothing to do with the Aims of Scientology. How can it continue to operate, one might ask, despite its complete perversion of Scientology and its mistreatment of staff and public? Just like the enabler of an alcoholic or a drug addict, they contribute money, sometimes millions of dollars, out of the best motives. They want to “help” the Church. They are told that their donations are vital to “defend” or “protect” the Church, that they are key to “expanding” the Church (buying more real estate). So they give more and more money. And they are “rewarded” for doing so. They get increasing “status” – “Platinum Meritorious,” “Patron Excalibur,” “Platinum Excalibur,” “Patron Maximus,” and so on. They get over-the-top pins and trophies to display. They get color pictures and spreads in Impact Magazine. They get big tax write-offs. They get to be part of the “new aristocracy” of Scientology – defined by how rich you are and how much money you give to the Church. When I first got into Scientology, the people we looked up to were the Clears and OTs, the top auditors, the dedicated staff. Our heroes were the Class VIIIs, the Class XIIs, the hardworking Sea Org Members. No more. In David Miscavige’s Church, the Sea Org Members are abused, degraded and assaulted. The top auditors are forced to alter and quickie the tech. The Clears and OTs are mishandled and mistreated. But those who donate the most MONEY are wined and dined, validated and rewarded. They are the new aristocracy of Scientology. They are the ones propping up David Miscavige’s Brave New Church. They are the ones supporting the abuse of staff. They are the ones supporting RPF prisons. They are the ones supporting the disconnection of families. They are the ones supporting David Miscavige’s extravagant lifestyle. They are the ones supporting the alteration of tech and policy. They are the ones supporting Miscavige’s empty real estate empire. They are the ones supporting the destruction of orgs. They are the ones supporting the perversion and decline of Scientology. Yes, I’m talking to you, Michael Baybak, Elizabeth Baybak, Alan Atkinson-Baker, Sheila Atkinson-Baker, David Wilson, Bonita Wilson, Sky Dayton, Pat Clouden, Jennifer Sgroi-Stanzani, Cate Stanzani, Marian Kapusta, Alzbeta Kapusta, Ali Shawkat, Noor Shawkat. I’m talking to you, IAS Patrons and Patrons Meritorious. I’m talking to you, Tom Cruise. You are supporting a criminal empire. Please, before you give another penny, take the time to educate yourselves on what is actually going on behind the scenes of your Church. Take the time to find out where your money is going, and what it is being used for. Take the time to insist on some transparency and accountability. You may think your donations are “helping.” They are not. They are enabling the perversion and ultimate destruction of all you believe in. The “legacy” you are creating for yourself is not what you think it is. I think this may be more effective than a direct attack on the management terminals themselves. A similar approach has been very effective in the entertainment field and in politics when a celebrity does shameful or destructive things. Publicizing the names of those providing financial support will cause them to scatter and run. Without financial support. even the most tyrannical despot starts to worry about his longevity. Calling these people enablers of human trafficking and abuse of staff puts their attention on that which they have been steadfastly ignoring. If they try to defend their actions, their hypocrisy will become evident. If they try to hide from critics, it will drive home the idea that they are becoming pariahs, not wealthy benefactors. Polite letters written to these people can have devastating effects if the writers communicate with ARC and grant beingness to the people and to their desires to help. Don’t make them wrong for helping. Ask instead if they were told what their money was actually used for. Send them links to this web page and others that provide a clear exposition of the actual disposition of their contributed funds. The problem we faced for many years internally was elite deviance which included such names as John Coale, the man who with his band of pirate attorneys was trying to create a “fourth branch” of Government that would bypass the Legislature and the Appeal courts, Greta Van Susteren his wife who has deep connections in the as one former CIA analyst called it the FCM or Fawning Corporate Media and who according to the policies on A-J and Illegal PCs shouldn’t even be on lines! One suspects that many of these people are not just “enablers” but are active supporters of “Black Dianetics” and “Reverse Scientology”. As an addition to my earlier comment, we should also take the opportunity to write to major FSMs we know and inquire how they can reconcile their desire to see their selectees move up the Bridge against the continual abuses of staff, the perversion of tech in the GAT, and the focus on empty buildings instead of thriving orgs. Ask the FSM how many grade Chart completions they are seeing versus a few years ago. These FSM are enablers in the worst sense of the word. They are signing selectees up for services that will subject them to emotional abuse and financial pressures that will affect their lives for years. Raising that issue will forced these FSMs to confront their complicity in the current spiritual ripoff that the church is perpetrating. The CofS takes money from eager and hopeful public, then delivers invalidation, evaluation and intimidation that increases as one goes up the Bridge. The gains that are achieved are lost in the betrayal of trust during crush reg cycles and ethics handlings designed to raise money. If an FSM actually confronts this, it might cause them to take up a more honest profession. I truly hope you are in connection with Federal Authorities about all you know. I don’t want to offend you as an outsider, but wouldn’t it be ethical to demand more from your government to investigate the abuses that you know of? Because the DOJ’s ability to dispense actual justice is somewhat questionable. Those who place their faith in Government bureaucracies, eventually end up disappointed. There are also some of us who suspect that the Government is not also complicit but also a contributing factor and that Miscavige is acting on their behalf. For example he does work for the IRS to an extent by ensuring that all Scientologists pay their taxes before being allowed onto further services. Narconon currently supports the Drug Enforcement Agency’s war against drugs. Many of their publications promote the myth that marijuana is a “gateway drug” and that it is highly dangerous contrary to what it says in ‘Dianetics the Modern Science of Mental Health’, about it. A few years back in the Church’s publication ‘Freedom Magazine’ they were promoting the State Department line that what was occurring in Kosovo was “ethnic cleansing” which just happened to align with the DOD’s “humanitarian bombing” effort when in fact it was a civil war. There is also evidence that the Agency has been using Miscavige’s Church as cover for their NOCs, especially in light of what happened in Greece when the “Church” was found spying on Greece’s own Intelligence agency. Seems Greece was not all that willing a member in the “coalition of the willing”. Speaking of the Agency and also getting back to “Freedom” again. It was nice how they diverted attention from any culpability CIA had in the creation of al-Qaeda during the Soviet’s war in Afghanistan by claiming that Ayman al-Zawahri was a psychiatrist when in fact he is an MD. One has to ask why would the Government shut down an organization that fully supports its “warlike ends”? That said, there is no disputing the fact that Miscavige has made the subject “unworkable and distasteful” while disputing the “invidious connection”. However, I think the Ol’man was spot on when he wrote HCOPL 10 January 1968 ‘Politics, Freedom From’ and that it has been the direct violation of this policy that has brought us to where we are today. In short the Church under Miscavige has become a political entity, that exists solely by the support of the Government and not by its people. Ergo asking the Government to investigate is like asking the Fox for an investigation of the chicken coop. An important point, and it presents an ironic situation. The “upstats” of the church are, by their support of the crimes you’ve listed here, in lower conditions on multiple dynamics. Without knowing this and also assigning the correct condition it becomes easy to get that same condition oneself. What a “Through the Looking Glass” world this has become. Rebel, I think you’re doing a great job keeping this blog up. However, I think the reality is slightly more nuanced. It’s not black and white. It’s x/y (where x and y are numbers between 0 and 100 and where x is GOOD and y is BAD). If somebody gives z load of money to CoS, I think there are still something good coming out of it. At the same time, some bad issues will remain. I would say roughly to donate some money to CoS today is something like 70/30, where 70 is good and 30 is bad. The good stuff: PR can be made, the word of Scientology can be spread, people can get auditing etc. The bad stuff: Miscavige can continue his lifestyle, some abuses can continue, some out of tech issues can continue etc. I think the truth is somewhere between what you write and what CoS shows up in their magazines. Even though Miscavige (and perhaps Int Man.) is an unsuitable leader there are still many, many good Scientologists out there who keep doing their job, doing auditing, assists, teaching, trying to create a better world etc. But I get your point. It should be 100/0 or at least something like 95/5 in my opinion. But you need to be extra forceful and exaggerate to make the point. Which is good, since there are many completely unacceptable bad things going on in the CoS.
Keep up the good work. You’re the independent accountant CoS so desperately needs. I think you are being very optimistic with your 70/30 split. Remember that NO money goes from the IAS, or from Int Management, to the Orgs. They are expected to make their own way AND tithe heavily to Int Management. It’s a one-way flow upwards and has always been. Same with Narconon, Applied Scholastics, etc. They receive no funding from the Church. The most that Int Management does is make TV ads and videos for them (at Gold, using Sea Org labor). Very little goes towards any sort of public campaigns, just enough to say they did it. Most goes towards lawyers and real estate – and the events and publications to prop up Miscavige’s image and credibility. In other words, a significant part of the money donated goes towards events and PR to propagandize the very people who contributed the money. If you want to pay for your own propaganda, fine. But the real point is, there is NO transparency and NO accountability. These donations are just a blank check. I would say that if someone really feels a need to contribute, they should at LEAST demand an accounting of where the money goes. 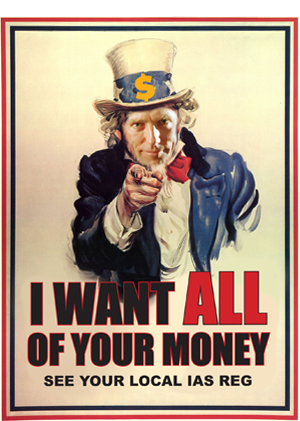 David Miscavige spends that money extravagantly and wastefully, much of it on his own PR and his lavish lifestyle. The “PR” seen in terms of expensive Freedom Mags and Impact Mags have not really been directed to promoting Auditing and training. There are no mentions of Clears or Auditors made at all. Instead they promote Real Estate expansion and “higher ” Status, and Luxury in terms of facilities. How many photos of the real Source can you count in the Promo these days? Thanks for bringing up Patron Maximus trophy Rebel, it’s another great article! All that money and the stats continue their steady slide down, as documented. Thousands of times more money than when LRH was running Scientology, yet he got the stats up. YouR donos mean nothing then. We’ve tried to squirrel scientology into a money game and it hasn’t worked, so stop donating to things other than services, per HCO PL URGENT ORG PROGRAMMING. Stop donating money, PERIOD. Stop supporting outright suppression! This idea that “some good” will come of donating money is the essence of reasonableness, people. If you don’t know why ANY support of the current regime puts one into the condition of (at best) Liability to your fellow man, you have either not fully educated yourself as to the reality of the current scene, or your confront of evil is simply too bloody low. If this sounds little harsh to you, you might need to (re)read the articles on this website and clear your words. @Hubbardianen I think you are still drinking the Kool Aid. Get real. The money you are donating goes in to an account and sits there accruing interest for DM and the CST and for nothing else. It isn’t to help Scientology or anyone else. Really open your eyes and look. I am not trying to be harsh but it is time that someone pulled the wool out from in front of your eyes and showed you what is really going on. You should know. There aren’t millions of people coming off drugs thanks to Narconon. The Narconon network is barely making ends meat to pay their staff and bills. Illiteracy is not wiped out as a problem thanks to ABLE Int or ANY of their groups. In fact thanks to them no real school wants anything to do with study tech because now it is controversial. People are not singing in the streets the praise songs of Scientology, no they are protesting louder and louder about the hypocrisy of a “religion” that covets money and buildings, that weekly collects millions (YES MILLIONS) of dollars from its parishioners but “doesn’t have any money” to provide ANY form of health care to it’s workers, and since all the nice buildings are for show the staff are crammed in to rooms with 20-30 people in them 3 bunks high, so that they have somewhere to sleep for 4-6 hours after slaving away for substandard food that your dog wouldn’t eat and $43 a week after taxes and when they “make enough” to get pay. So think about all that when you are in your land of dreams and maybe then you will see the real picture. A very astute article Rebel008 and very well put as usual. It cuts right to the heart of the matter. As a number of commenters also add excellent points I’d like to add my two cents worth too. There is additional collateral damage to all the millions of dollars that are forcibly collected and then sit idle in Church or IAS bank accounts. That money is grasped from people that otherwise should and could use their wealth to tackle the many and various problems their local communities face. You know, Special Zone Plan and all that — handling such things as drug abuse, illiteracy, crime — all the ills we know our society suffers from. I personlly know a number of big IAS donators that don’t tackle these problems because they are forced to give their money to the IAS but the IAS don’t handle them either. But these people are known as big Scientologists in their communitites and so are resented for their lack of action and delivery. It reflects very badly on Scientology, believe me. If all the OTs were encouraged to handle these ills (I know none that do) maybe Scientology would actually accomplish something worthwhile but it is not likely to happen any time soon. Instead the flow of millions to the IAS will continue along with no delivery to the world at large — the recipe for total Scientology disaster which is already in the offing. I get it that they want to help. But how could they just follow like sheep and so blindly that they don’t ask questions like “what does LRH has to say about this”? Anyone who supports criminals is accessory to their crimes, so are those people you named above, including Tom Cruise. Tom’s reputation in Hollywood is really bad, his life is a mess, his career has been going down hill since he has the biggest SP of all time (David Miscavige) running him and his personal life on a daily basis. Tom is fed by DM with all the fake validations and false power. And God knows how much Tom is loving all this kind of BS to boast his ego. And DM is having a blast seeing how stupid Tom is. DM finds these rich guys who need some “love and validation” and just inject it into them and in exchange empties their bank accounts. They are not true Scientologists, they don’t care about LRH and expansion of Scientology. They are just there to be told “how great they are” and get a glossy colored photos with their master (DM). That is what I directly observed as a public when I was in DM’s circle. It made me sick to my stomach. So I left. I’m not donating money to CoS and it was quite some time since I was on course/auditing. My somewhat limited experiences from CoS are however real and personally I’ve not seen any abuse and also met a lot of people who’ve experienced wins. I’ve also met some people who had money issues due to the CoS and their out of policy behaviour regarding refund etc. I believe people have wins from Scientology and I’ve had wins from it. Everything is not bad about CoS and I don’t know what you’ve been put through, but your nick is Ex-RPFer so I guess it’s enough for you to react. Again, I think there are a great deal of errors in the CoS of today, actually I believe that general Western society runs better than CoS in terms of freedom of speech, labour laws, common elections, financial auditing etc, but I also think that there are some good things about CoS. It’s not all bad, and that has to be reflected in a general conversation. The possibility of spiritual freedom has created this strange environment of CoS where Black Dianetics is possible. Interesting. You have failed to perceive beyond the “social veneer” and your perception is being managed by the media to over look the actual flaws. The facts are that insanity, criminality and war still exist. Combine that with actual fact that like society in general these days, the members of the Church themselves have fallen under the spell of Perception Management as well all playing the game of “let’s pretend”. I mean let’s just pretend that the Church of Scientology is actually achieving its aims when in fact it is all nothing but PR , hot air and a photo op. The fact is that the Church’s actual stats are in non-existence or lower. Especially the most important stat of making auditors that can audit. The fact is that it is actively being prevented! That is at best treason or more accurately confusion! It is worse than merely just throwing your money away when you support an organization like that, because what you are actually contributing to is the continued suppression of the subject and those who are actively suppressing it! Personally, I think Rebel’s piece is spot on. Those who continue to support the organization are “enablers”, because they are enabling Miscavige and whoever he is working for to destroy the subject. In so many ways, it goes beyond a simple post in response. Rex Fowler in the hospital. His employee/minor shareholder in his company dead with 2-3 bullets apparently to the back of his head. Per reports only the dead man and Fowler were involved. Fowler is a long time scientologist with majority of his staff also scientologists. One of his employees wife is DSA Denver. As Geir has said — something is broken. Something doesn’t work. Tragedies like this are made. After years of unrecognized unstopped aggression. Remember aggression can be forcing someone to believe what you believe … and grinding it in more and more as you believe you are better than, bigger than, more helpful and the only one who can save the day. This topic is surprisingly absent from the pro-LRH sites. Too much bad news? Are these sites becoming such than only cheery news of leaving DM’s church is allowed. Perhaps it will come out that Fowler was the victim and killed his minority partner in self-defense. Perhaps. But why the silence here and other pro-blogs? Seems like the beginning of censorship to me. It is “strangely absent” because this is probably the first time anybody has probably read about it, since many on this board do not follow the FCM (Fawning Corporate Media). Also before you get into any broad conspiracy theory. What exactly is there to “discuss”. The fact that someone murdered someone else in gangland fashion? Does the fact that a Christian kills someone else, immediately put the religion of Christianity on trial? Maybe you can enlighten us by telling many of us first who this Rex Fowler is, what kind of company he was running, where exactly this incident occurred and finally when, before sensationalizing it and coming to presumptive conclusions about ” pro-LRH sites” and “censorship”. Sorry to have seemingly upset you RJ. I got the information from the anti scn sites as was all over their boards the past few days. It’s calmed down a bit. Rex Fowler is an OT VII with a computer programming business in Denver CO. Easiest way to get info rather than read all the anti boards and their conspiracy theories is: google : rex fowler denver post. There is no mention of scn in the articles except in the comments. I spend next to no time with FCM but I do check the anti-scn sites. Afterall, it was there that I learned of Marty’s blog. Again, didn’t mean to get you upset. Just found it odd that nothing has been mentioned about this apparent murder/attempted suicide. My point was what I said — something is broken. And you explained why it wasn’t mentioned. Myself, I prefer facts over gossip ,speculation, jumping to conclusions and leaps of logic. Yes I goggled Rex Fowler and correct there is no mention of Scientology or the fact he is a Scientologist which is a point in favor of the press reporting the incident so far, since what does someone’s religion have to do with the commission of a violent crime, unless the person states openly that the reason he committed it was for the benefit of Allah or God or whatever. True, it is a murder mystery for sure in the tradition Dashiell Hammett but so far that is all it is. Whether it presents any blow back for the Church of Scientology, remains to be seen in how the story is spun in the next few days. So far it looks as if the press is correctly avoiding the Scientology angle despite the fact that nut cases like Lermer are pushing to bring it up. Lermer? Not sure who he is but am assuming he’s one of the rabid anti-guys. In any case, this is sadly not the behavior of someone who should have been getting more able, more uptone etc etc. That was my other point. Somewhere, somehow the tech (and all the checks put in place (sec checks, ethics interviews etc) failed this person IF indeed Fowler was the perpetrator. Sorry to have diverted this thread. You haven’t really diverted the thread, since though seemingly “off topic”, it proves Rebel’s case and it has nothing to do with the actual tech but a perversion thereof. Also it shows that whether Fowler was the perpetrator or victim that he is severely PTS to someone or something. I do not like trying cases in the press. The fact is that we do not know how many individuals were actually involved and that DAs tend to be a lazy bunch who will grab the first suspect they can make an easy case with. It may not be as simple as a personal dispute. You don’t know until all the evidence is presented and so far it’s even less than circumstantial. Arnie Lermer, all you have to do is check out his website to see how far off the deep end he has gone. A man who considers people like Jolly West and Margaret Singer almost as patron saints! Also tends to be on the far right of Fascism since he supports forced deprogramming. Uh, I think you mean Arnie Lerma. See lermanet.com. He was in for about 10 years from the late 60’s to 70’s. Made the mistake of falling in love with Suzette Hubbard; the Church broke that up and he quit. Later became a critic and was raided in one of the Church’s early, rabid copyright cases that was dimissed while at the same time helped to create countless new critics, (“the Court is now convinced that the primary motivation of RTC in suing Lerma, DGS and The Post is to stifle criticism of Scientology in general and to harass its critics.”) So who is “off the deep end” again? And if Fowler was indeed an OTVII and the perp, what does that say about OT’s? I really says nothing about “OTs”, since “OTs” are individuals. However, your post says a lot about you. The fact is that Lermer’s heliography and halo are somewhat tarnished due to his support of suppressive groups and organization, i.e. those mentioned earlier that are on the far right of fascism and support forced deprogramming. Also part of the reason Lermer got busted is that he was posting confidential OT materials from the Fishman affidavit. He wasn’t merely a critic. Suzette was just damn lucky she didn’t marry that nut case, as the guy is working for the dark side. Also, he wasn’t the first “critic” of the organization by any means. Mayo was the before him, so was Samuels, so was Robertson. Lermer is just a twisted johnny come lately. Secondly, “suppressive groups and organization”? Maybe you can be specific. I wasn’t aware that Scientologists who have left the C of S are still into declaring people SP. So who are these groups that are doing “forced deprogramming”??? I’m not defending Arnie Lerma. But I’m also not supporting or even vaguely believing the C of S attacks on him. The question is: what does it say about Fowler? And that question is when the facts become clear. Anyway fishdaddy, I got into a debate with him on ARS and asked him directly if he supported forced deprogramming and he basically said yes and that he wished that someone had done that to him when he was still in Scientology. Regarding suppressive groups and individuals. The guy is a big fan of Jolly West and Margaret Singer both former Mk Ultra alumni, and has posted various articles by both of them plus Martin Orne and others. The active prevention of trained auditors is detailed in the friendsoflrh site under What Happened to Training articles. In order to gain an insight into one of the major blocks put on training, I suggest you get a Volume 5 OEC and look up the materials on Fast Flow. Inspection before the fact is a point you will find in these materials. Fast Flow Training is another point made in these materials. Now, schooch up the time track a bit and look at the most recent issue of Fast Flow Training which is Hubbard Communications Office Bulletin of 13 August 72RB, and the latest revision is 9 August 90 by Sue Koon in LRH Research and Technical Compilations, RTRC, approved by David Miscavige as he approves any and all such issues, assuming final Issue Authority. If you can find the original issue of Fast Flow Training, and compare it to the latest, you’ll note that ‘fast flow’ is at best just a little bit less slow than nothing fast flow at all. In other words, it has been gutted as a tool. Previous to the gutting, students did the Primary Rundown or Method One word clearing and a Student Hat, and then passed courses by attestation that they had read and understood the materials, did the drills and could apply them. There was no examination on completion of a course done by the Qualifications division. There were no starrates on the course, demonstration was done by the student as he needed it, including clay demonstration. You will note that in the current issue of Fast Flow Training, a student is now required to do clay demonstrations on the checksheets. But, clay demonstrations call for examinations as per the materials on clay demonstrations. Hence, a ‘fast flow’ student is now subject to examination in complete contradiction to the LRH definition of ‘fast flow student’ i.e., one who passes by attestation. OK, add to the above that the runway to auditor training now includes the so-called Basics, a Professional TRs course, a Professional Metering course, both of which include a video pass, and then one does the Levels training, and we have a training line-up, only in name ‘fast flow’ that takes literally years to complete. Not only that, when you do ‘complete’ it, the very next event DM does may entail a complete invalidation of anything you’ve done so far, and you have to re-do it all again. In the past years under DM there is an even more insidious and destructive action occurring, aside from the blocking of the training, which is that the auditing side of the Bridge is being blocked. How? 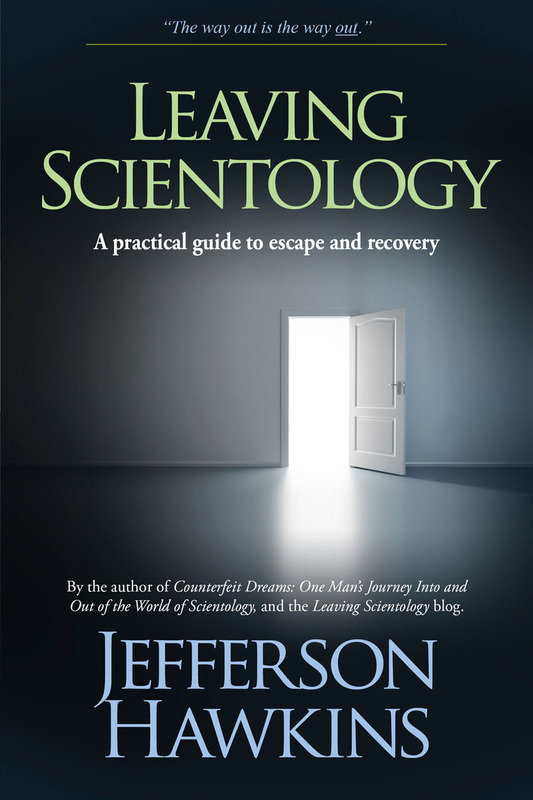 By the same invalidation of gains made in the method of invalidating the Clear state of persons on a blanket basis, just like he invalidated the entirety of training of auditors (note: that is every auditor trained up to July 2007, when he stated in his Basics release DVD, that up to that date it had been impossible to Keep Scientology Working because according to Dave, we didn’t actually HAVE Scientology, LRH’s statements to the contrary notwithstanding). So, in a nutshell, not only is training factually blocked by arbitraries and a runway that takes years to do to even get to train as an auditor, when you do train, it can be utterly cancelled by the next Int Event and one of DM’s blinding blue flashes of insight. In addition, no matter where you have actually gotten to on the Grade Chart, he can issue a bulletin that says NO YOU DIDN’T and put you back to the beginning. That includes such things as running Dianetics, strictly forbidden by LRH, on Clears and OTs. Why? Because DM says they aren’t Clear or OT. THAT’S the reason. This goes way beyond his insanity of regging donos completely contrary to LRH and thus Scientology policy. This goes to the heart of the perversion of training. It goes to the heart of destruction of the Grade Chart and the route LRH mapped. This goes to the heart of the destruction of Scientology as a technology and philosophy by one man’s unchecked, and tacitly or otherwise supported suppression of Scientology and Scientologists. That’s what we’re doing here. Get on study, in session, with someone you know is applying LRH’s Scientology. Leave the pale imitations behind. I recommend reading Jim’s response and the site he recommends. ExRPFer may have a point, though I’d like more confirmatory evidence first. However, you do tend to defend the indefensible. All you have to do is look for yourself. Now it takes literally years to make “auditors” who are mistrained to “audit” robotically, according the proscriptions on “F/Ns” tossed off by Miscavige and enforced by “ethics” thus overrunning practically every case they audit! The fact is according to the HCOB ‘Fast Training’, making auditors should only take a matter of weeks or months at most! Not only that, but auditors in training are taken off their courses to do the “Basics” or some other arbitrary action that Miscavige, recently thunk up in his little mind that was allegedly a “missing step”, that everybody has to suddenly go back and do because it supposedly wasn’t there before, creating something like a squirrel cage where auditor trainees continually go around in circles! Not only that but they have them to a “Pro-metering” having them do Emeter drills 23 & 25 endlessly. Drills that have no practical value whatsoever for any auditor below the level of Grad V! Not to mention the parade of useless time wasting drills, that violate the technical references they are allegedly “exclusively based on” and the policy on what drills are allowed in training! I try to let everyone have their say without butting in, but one thing I don’t want to get into is the “You is OSA!” “No, you is OSA!” argument. Pointless. Let’s at least try to have a respectful discussion. Also look at the number of completions in the 70’s mags compared to now. It’s an indefensible position. I’m finding out while I move along. I don’t see much of CoS these days so I have no hands-on experience myself, only the internet. Believe me, I think Miscavige should be removed from post, but I’m trying to also see the good things about CoS, at least some material are being spread, Nancy Cartwright seems to be pleased with her auditing on Solo NOTs, Isene had wins from OT VIII not so far ago etc etc. Every cent has two sides you know. But I see your point: The ideal scene. I’m working toward that also, but I still like my x/y gradient viewpoint. Currently I think the only way to remove Miscavige is to have more Scientologists leaving, and that is accomplished by information e.g. with blogs like this, that’s why all these pieces of information are so important. The reason Nancy and Gier, had those gains was because the tech works even when altered to a certain extent. Not because the organization itself exists. In fact the organization, itself has become an inhibiting factor and this is where Rebel is very correct on the point that is not worthy of support at this point. The way things are right now we’d be better off without it. Yes I know there is a good side to everything, but look at the CIA as an analogy (some would say more than an analogy) which was created to prevent another attack like Pearl Harbor. On this the Agency has been a dismal failure but it has been “successful” in dragging America into various world wide conflicts and quagmires. I’m not saying an *intelligence* agency is such a bad idea if it actually did the job it was intended to do and that was to acquire intelligence. A Scientology Org is a great idea if it did what it was supposed to and put most of its attention on delivering Scientology services, but this one doesn’t it seems most of its time is devoted to money making schemes, attacking critics (something like the institution mentioned earlier) and acquiring real estate. It in fact has become antipathetic to its original purpose! I understand what you are saying and I agree with you. There are beings getting case gains in the Church. It isn’t ‘all bad’. They are gaining when actual Scn is applied. Imagine how much more they would gain if that’s ALL that was applied and not this perverted mess that is DM’s product. That postulate is what you and I have and so do many others, ‘ on-lines’ and ‘out-here’. That is the purpose and we’re pouring on the coal, aren’t we.